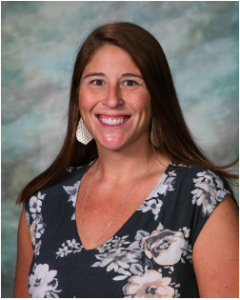 St. Joseph, MO – Central High School is excited to introduced Monica Flaska as the next head coach to lead the Lady Indians Volleyball program. Flaska returns to lead the Indians after a nine year absence, where she previously served as the Central’s head coach from 2002 -2009. Following her playing career at Missouri Western, she served as an undergraduate assistant for the Griffons from 1998 -2000, and graduate assistant in 2001. In 2002, she took over the Central Volleyball program where she served as head coach for seven years before resigning in 2009. “Our purpose as Administrators and Coaches here at Central is to develop young men and women of character to be champions in the classroom, on the court and in the community” stated Athletic Director Dave Lau. “We are excited to announce the addition of Monica Flaska to our staff. Coach Flaska exemplifies the the core values of character that we support as a school: integrity, respect, responsibility, sportsmanship and servant leadership. Flaska brings twenty years of coaching experience to a program that has back-to-back twenty plus win seasons.